For any woman, pregnancy period is the most precious time of her life. And it becomes all the more special when she becomes pregnant for the first time. During the nine months of pregnancy, she makes all wonderful efforts to conceive a healthy baby. During pregnancy or while planning a baby, it is essential for a mother to be healthy. She should follow a healthy diet so as to give birth to a healthy and fit baby. The diet type that you must follow during your pregnancy depends on your body weight. It is very important to take a balanced diet as per your weight. If you are overweight, then you should avoid food that contains fat to prevent unnecessary increase of calories. If you are underweight, then you need to put on some weight. You can eat as per your capacity, but always remember, do not overload your stomach. Fresh vegetables such as kale, broccoli, leafy greens, carrots, sweet potatoes etc. and green vegetables are good source of folic acid. Fresh fruits must also be there on your chart. You can eat banana, orange, apple, dried apricots or peaches or you can also have fruit juices. Starchy foods like potatoes, whole grains, one bread slice, 1 cup cereal, half cup of cooked rice, pasta, brown rice and fortified cereals also contain folic acid. Protein can be obtained from fishes, eggs, meat (for non-vegetarian) and beans, pulses, nuts, peas (for vegetarians). Fat free milk and yogurt provide you with the needed calcium. You can also take low fat cheese. 3 cup of milk everyday is essential. You can take calcium fortified foods or lactose free milk product if you don’t like milk. Nuts are also considered as healthy diet. You can take five ounce of nuts during a weak. Try some less fat nuts like almonds, walnuts, and hazelnuts [unsalted] with good nutrients. Other additional vitamin supplements are folic acid and vitamin D, which is must for every pregnant woman. You can control your weight by avoiding fat-free and sugar free food. You can measure calories of your food and check that which food contains how many calories. Thus you can control your weight and maintain your diet accordingly. Some amount of Vitamin A is essential, but access amount is harmful for your baby. Therefore, avoid liver products and vitamin tablets of vitamin A. Avoid uncooked egg, meat, soft cheeses, raw fish, un-pasteurized milk and food that contain raw eggs. Avoid caffeine such as tea, coffee and chocolates as it increases risk for miscarriages. You need to take precaution if you are not immune. If you are planning for a baby, then rubella vaccine is advisable to be taken under the guidance of your doctor. If you take rubella, you should avoid pregnancy for three months. You should take blood test and check for your immunity before getting pregnant. Protect yourself from food poisoning. You should eat hygienic food and drink mineral water to protect yourself from bacteria and germs. Wash your hands before eating. You should have full [pre-pregnancy] blood test for diagnosis of disease if any such as diabetes, hepatitis B, HIV, etc. If you have any dental related or any other problem, then you must consult your doctor. You should inform them about your pregnancy and take medicine under guidance of your gynecologist. 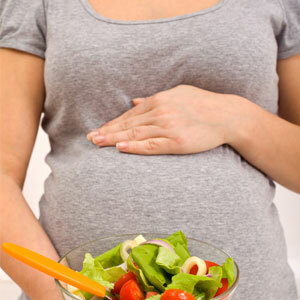 For a pregnant woman, healthy living, healthy environment and healthy diet are very important. Therefore, as a mother try to keep yourself healthy for bringing happiness in your life with the arrival of a healthy baby.